By: Adler and David A.
Thirteen-year-old Tommy Duncan just wants to root for the Brooklyn Dodgers and listen to his favorite radio programs. But it?s 1940, and the world is about to change. All his friend Beth wants to discuss is the war in Europe. Don?t talk to Tommy about that, though. He has more immediate concerns? like Beth starting to wear earrings and his mother?s declining health. 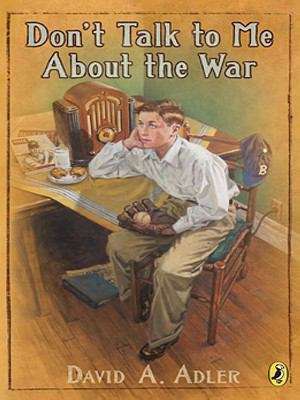 The stories of a Jewish friend at school, however, begin to make the war more real to him, and Tommy, like the world around him, is sure to be forever changed. .